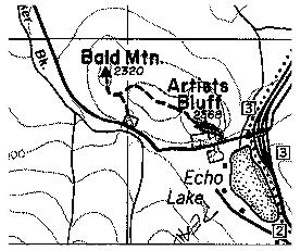 Whether you visit with us or not, we welcome hikers to register and leave their itinerary with us should they wish to have a local resource knowing that they are hiking the area. We will record start time, planned route, car registration, and emergency contact information. We will provide you with our toll-free phone number to contact us after your hike from any of the many pay phones located in the Notch to let us know that you are off trail. As hikers, we welcome hikers and want to insure that all your hikes are safe ones. 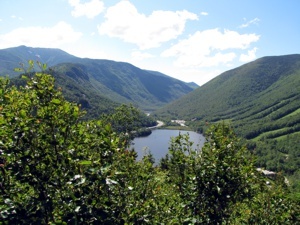 Are you interested in exploring the hiking trails of the Franconia Notch State Park and the White Mountains? At the Gale River Motel, we are more than willing to assist you in selecting the hiking adventures that will be best suited to your particular hiking interests and abilities. Want to Hike the Franconia Notch? Looking for an EASY hike? Looking for something that’s GOOD FOR THE WHOLE FAMILY? are all just beginning to bite. are just waiting to alight. is heavy in the air. on skin and clothes and hair. Where the sky is blue and bright. I guess I’ll stay a bit. ‘Cause my heart is stuck on it.